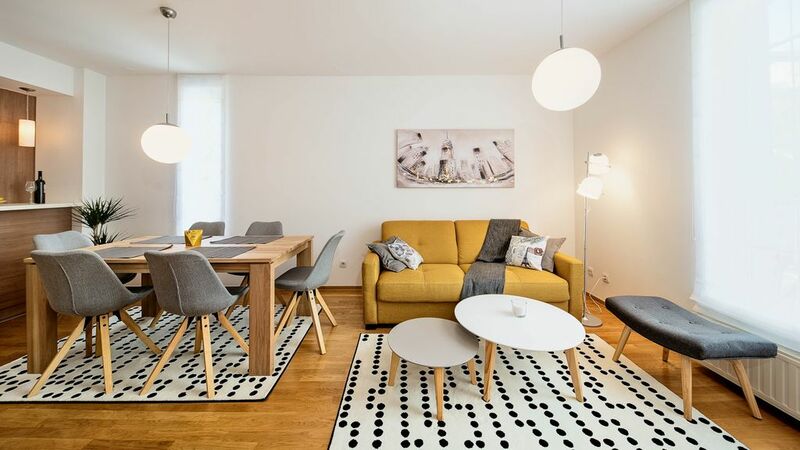 Beautiful fully renovated apartment situated near the city center in the peaceful neighborhood. Guest can use free wi-fi, washing machine, parking place, fridge, flat screen tv with over 50 channels, toaster, microwave...Also, the neighborhood is nice and pleasant, near the big square with lots of space to walk and relax or for kids to play. It's situated 12 km from the airport Franjo Tuđman, 1,4 km from Technical Museum. As the addition to our offer, for guest's who would like to travel and explore more of the Zagreb surroundings or Croatia Coast and Slavonia we can offer you arrangement with our travel partner and make transfers to your desired location. Every offer is made separately depending on your wishes and it's possible to make it prior to booking or at sight at the apartment. Beautiful apartment, great location, easy free parking, and excellent host.